In my last post, I noted that we would be coming back to Mercy (Williams) Randall’s line. As I researched the Randalls, I accidentally came across the confirmation of an old family story: that we were descended from Roger Williams, the founder of Rhode Island. My paternal grandmother always bragged about it, but my mother distrusted the story. When I started my research, I assumed that the connection would be through my ancestor John Williams (makes sense, right? ), but I couldn’t get past his parents, who lived in New York State. When I hit Mercy during my Randall research, I quickly found out it was she who was descended from Roger! 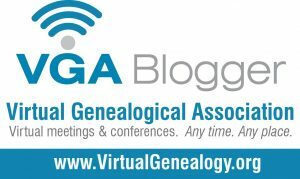 Most of what I present here is based on the genealogy presented on the Roger Williams Family Association‘s website, with some help from Find a Grave and Google books. We’ll start with the progenitor himself, Roger Williams. Roger Williams statue at Roger Williams University (actually fashioned after baseball player Ted Williams!). Author’s collection. Roger was born around 1604 in England. He married Mary Barnard on December 15, 1629. (She was born September 24, 1609 in Nottinghamshire.) His theological disagreements with the Church of England led them to leave Bristol, England aboard the ship Lyon on December 1, 1630, arriving in Nantasket, Plymouth Colony (today’s Hull, MA) on February 2, 1631 (some sources say February 5). Roger’s reputation as a separatist and an anabaptist sympathizer did not sit well with the authorities over the churches he worked in (Salem, then Plymouth, and back to Salem again). Finally in 1635, the General Court in Boston convicted Roger of “sedition and heresy” and said he must be banished. This led Roger to a friendship with some natives and the respectful purchase of land from them in 1636. Roger’s family and other followers of his joined him in the new settlement called Providence. 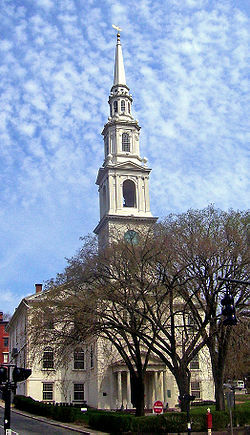 First Baptist Church of America (current building). Courtesy Wikipedia. Roger’s wife Mary died in 1676 and Roger died on April 1, 1683, and it seems that they are buried in the now historic Williams Family Cemetery in Providence, Providence County, RI. They had six children, the first two of whom were born in Salem and the remainder in Providence. Mary, born August 1633; married John Sayles in 1650 in Providence; died 1681 in Newport (now Middletown), RI; buried at Easton Lot, Middletown, Newport County, RI (the Family Association shows her death as 1684, but her gravestone is clearly marked 1681). Freeborn, born October 4, 1635; married Thomas Hart in 1662 and Walter Clarke on March 6, 1683 in Newport; died January 10, 1710; buried at Clifton Burying Ground, Newport, Newport County, RI. Providence, born September 16, 1638; never married; died March 1686; buried Williams Family Cemetery (there is no gravestone). Mercy, born July 15, 1640; married Resolved Waterman in 1659 in Providence, then Samuel Winsor on January 2, 1676; died September 19, 1705; buried Williams Family Cemetery (there is no gravestone). Daniel, born February 15, 1641; married Rebecca Rhodes on December 7, 1676 in Providence; died May 14, 1712; buried Williams Family Cemetery (there is no gravestone). Joseph married Lydia Olney on December 17, 1669 in Providence. Lydia was the daughter of another original settler of Providence, Thomas Olney. Joseph died on August 17, 1724 and Lydia followed a few short weeks later on September 9. Their clear gravestones are in the Williams Family Cemetery. Joseph, born September 26, 1670; died before November 10, 1673. Thomas, born February 16, 1671/72 in Providence; married Mary Blackmar circa 1700; married Hannah Sprague after 1717; died August 27, 1724 in Providence; buried Williams Family Cemetery (there is no gravestone). Joseph, born November 10, 1673 in Providence (more on him below). Mary, born June 1676; married Obediah Brown(e). James, born September 24, 1680 in Providence; married Elizabeth Blackmar (Mary’s sister) circa 1703 in Providence; died June 25, 1757; buried Williams Family Cemetery. Lydia, born April 26, 1683; died 1717 (and as far as I can tell, never married). The younger Joseph (born 1673) also married a woman named Lydia – Lydia Hearnden (also called Herenden or Harrington). We will call her Lydia H. to avoid confusion with her mother-in-law. Joseph died August 15, 1752 in Providence and Lydia H. in March 1761 in Cranston (since Cranston was formed in 1754, I assume this was not a move). They are listed as buried in the Williams Family Cemetery. Mercy, born circa 1700 in Providence; married William Randall on April 14, 1720 in Providence. Jeremiah, born April 10, 1698; married Abigail Mathewson, December 24, 1735 in Providence; died April 30, 1789 in Cranston. Mary, born 1702 in Providence; married Francis Atwood, circa 1722. Lydia, born circa 1706 in Providence; married Joseph Randall on March 17, 1726 in Providence. Martha, born circa 1708 in Providence; married John Randall circa 1725. Barbara, born circa 1712 in Providence; married Benjamin Congdon, circa 1731/32; died 1786 in Cranston. Patience, born 1714; married Samuel Dyer in Johnston; died 1774. Freelove, born circa 1719 in Providence; married John Dyer, November 23, 1739 in Providence; died April 1775; buried at what is now St. Ann’s Cemetery in Cranston. Jemima, born in Providence; married Benjamin Potter on December 25, 1735 in Providence; died November 1796. Meribah, married Jabez Brown on October 5, 1730. And so the Roger Williams connection has been made. I just wish I knew as much about his descendants in my line as I do about him, but that is for further research, I guess! I’ve already touched on my great-grandfather’s life with respect to his time in the navy and partly through writing about his wife (my great-grandmother), Eva Christina Lipsett. Now it’s time to dig a little deeper. Thomas Francis Atwell I was born on October 4, 1891 in Providence, Providence County, RI. He was the fifth child and third son of William Armstrong Atwell and Altie May Williams. I don’t know much about his childhood, other than that his schooling ended with a ninth grade education and that his parents divorced sometime between 1900 and 1905. I’m told that Thomas’ father William could be difficult to get along with, but in spite of that, all the children seemed to remain with him as opposed to Altie after the divorce. When William re-married to Ethel Fane in 1905, Thomas got along well with her and later his half-brother Wallace. There is a family story that says that things were so bad at home that Thomas lied about his age to join the navy. However, from what I can tell, he enlisted in 1909 when he was eighteen, so I don’t know about the part about lying about his age. Perhaps joining the navy was Thomas’ best option for leaving home once he turned eighteen? In any case, he seems to have begun his naval time at the academy in Newport, Newport County, RI. 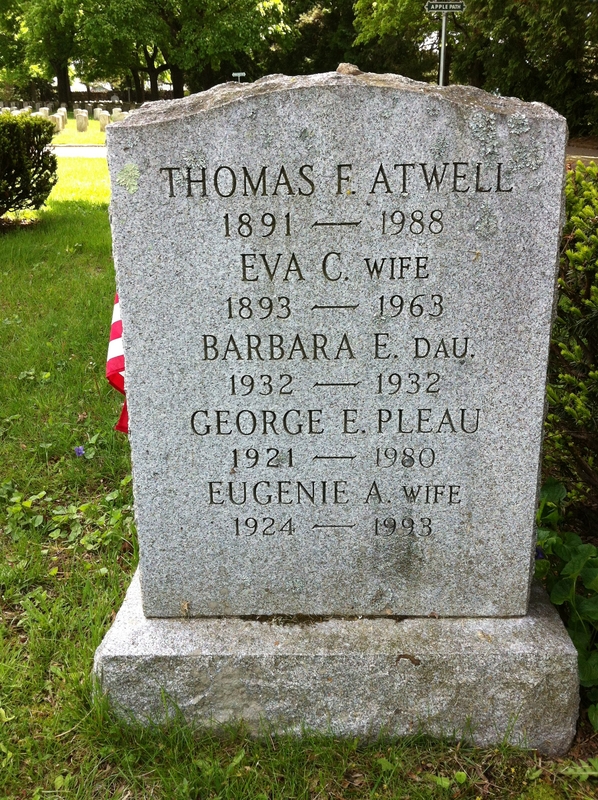 We already know that Thomas married Eva on June 30, 1920 in Salem, Essex County, MA. I would love to know how they met; perhaps he had some shore leave in Boston and ran into her somehow? Whether he had any prior relationships, I do not know. I’m sure it would have been difficult to maintain a relationship for very long, being stationed on a ship for great lengths of time. In any case with Eva, it was love; this was obvious in the way my great-grandfather spoke of her even after her death. Eva + Thomas Atwell in Swampscott, MA, 1959. Author’s Collection. As I’ve written before, Thomas and Eva started their family in the 1920s. After a brief time out of the navy in the 1930s, he worked as a superintendent in an office building. Then after his time back in the navy during World War II, Thomas again returned to civilian life and began working for the Lynn Institute for Savings (a bank) in 1947 and continued there until retirement in 1967. 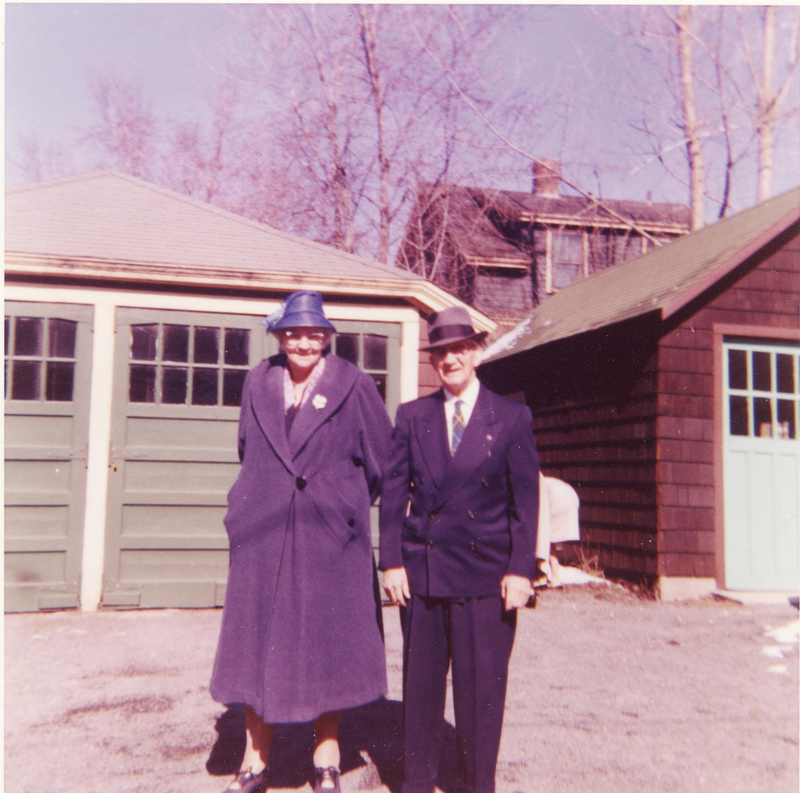 Since Eva had died in 1963, the house on Timson Street in Lynn must have seemed too big for him, so he put the house on the market in November 1964 and bought the tiny home on Bulfinch Road that I remember. A few months later, the house on Timson Street was sold. Although he was retired and downsized, Thomas in no way checked out of life. He still drove around town, and attended Christmas and other family parties that his daughter Eugenie threw. One thing that I discovered was that during the 1970s, he wrote a few letters to the editor of the Boston Herald-American. (I suppose that he also must have written to the Lynn Daily Item, but those archives are not yet online.) Many of the short, pointed letters had a political bent to them, such as properly addressing the President of the United States and anti-union sentiments. One outlined eight ways to “save the U.S.A.”, which would be seen as very conservative (and probably politically incorrect) today. He also wrote about his beloved Boston Red Sox, who he often watched on the TV set in his living room. Mind you, this was deep in the years during the “Curse of the Bambino”. Thomas lived on his own for many years, but spent the very end of his life in a Lynn nursing home, passing away at the very respectful age of 96. He is buried with Eva at Pine Grove Cemetery in Lynn. Atwell-Pleau grave, Pine Grove Cemetery, Lynn, MA. Author’s collection. Samuel Alexander Lipsett was the sixth child of Robert Bruce Lipsett and Christina McMaster, born on October 15, 1871 in Manchester, Guysborough County, Nova Scotia. While in Nova Scotia, Samuel was a farmer. Once he immigrated to Massachusetts (between 1891-1900), he became a carpenter. It seems that he boarded with his sister Sarah Ann Hiltz in Gloucester. According to later records, Samuel was naturalized as a US citizen in 1901, but returned to Nova Scotia by the 1901 Census. Perhaps that was when he met and courted Eliza Blanche Cunningham. On November 19, 1902, they married on Stoney Island, Shelburne County, Nova Scotia. In 1903, Samuel and Eliza moved to Gloucester. Between 1904-1908, they finally settled in Salem. Lester Leland, born September 12, 1903 in Gloucester. Died April 5, 1905 of spinal meningitis. Wallace Wiley Cunningham, born November 1, 1904 in Gloucester. Married Mildred Andrews on January 6, 1938. Died 1957 in Newburyport. Richard Christopher, born January 25, 1908 in Salem. Married Margaret Goldthwait Stevens Gilbert on June 10, 1930 in Portsmouth, NH. Died 1971 in Marblehead. Grace C., born September 17, 1913 in Salem. Married Karl David Kuell on June 25, 1938 in Salem. Samuel died April 1, 1938 in Salem Hospital, and on October 17, 1976 Eliza died at Mary Alley Hospital in Marblehead. Both are buried at Greenlawn Cemetery in Salem. Edward Stanley Lipsett (who went by “Stanley”) was born on July 24, 1859, Clam Harbour, Guysborough County, Nova Scotia. He was the firstborn child of Robert Bruce Lipsett and Christina McMaster. Like his younger brother Robert, he started out as a member of the Church of England, then became a Methodist sometime around his marriage. When Stanley immigrated to Massachusetts between 1881 – 1883, he was a fisherman. Like so many fisherman, he ended up in Gloucester, Essex County, MA. There he married Caroline (“Carrie”) Eliza O’Brien, another native of Guysborough County (who also happens to be my third great-aunt) on December 29, 1883 in Gloucester. The Lipsetts immigrated back to Manchester, Guysborough County, Nova Scotia most likely during 1884. Stanley’s occupation eventually became a sea captain, but I suspect he was still involved in the fishing industry. By 1911, however, he became a farmer and even had a stint as an undertaker at least in 1926. Stanley and Carrie had two sons: Robert Bruce, born January 13, 1885 and Ralph Stanley, born March 16, 1892. Ralph’s life was cut short during World War I. On September 19, 1918, he killed in action during the Battle of Cambrai in France. Records show that his body was interred at what looks to be Marcoing Line British Cemetery, now known as Cantimpre Canadian Cemetery (Plot 1, Row F, Grave 12) in Sailly, France. There is also a memorial at Manchester Cemetery, dedicated to Ralph and other Manchester boys who lost their lives in the Great War. Stanley’s son Robert went on to give him his only descendant. In 1921 Robert married Marion Sidney Worth in Saskatchewan, Canada. They immigrated to Massachusetts and on May 20, 1928, granddaughter Margaret Carolyn Lipsett (known as Carolyn) was born in Salem, Essex County, MA. I want to make note of Marion and Carolyn especially, since I had known them as a girl. 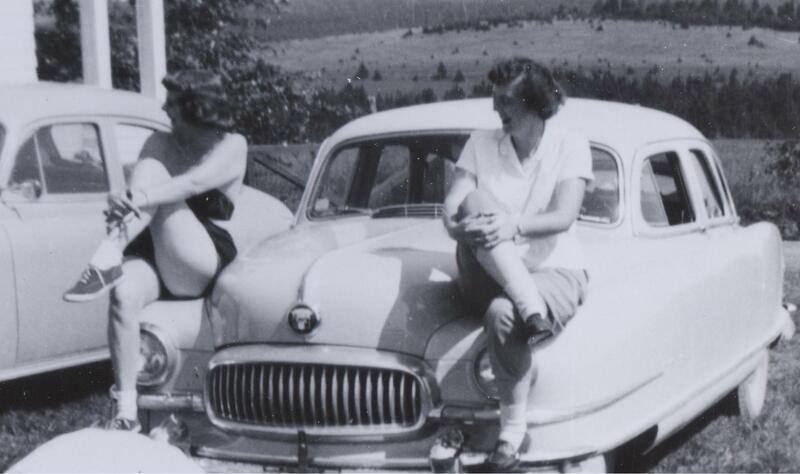 Carolyn (having moved back to Salem around 1949) was especially close to my grandmother Eugenie, who was her second cousin. Eugenie (Atwell) Pleau and Carolyn Lipsett. Author’s collection. n 1931 Robert’s family moved back to Nova Scotia to Dartmouth in Halifax County. I’m sure Robert and Marion were on hand as Stanley and Carrie were aging. In 1934, both Stanley and Carrie passed away. Carrie died on April 20 of coronary thrombosis, and Stanley died just six days later of prostate cancer. Stanley, Carrie, Robert (who died in 1960) and Marion (who died in 1974) are all buried in Manchester Cemetery. Carolyn died in 2008, never having gotten married or had children. Eva Christina Lipsett was born on November 7, 1893 in Manchester, Guysborough County, Nova Scotia, Canada. She was the oldest of the five children of Robert Fenwick Lipsett & Sarah Sophia Bruce and the only one to have children of her own. The 1911 Canada Census lists Eva as a teacher though she only completed one year of high school (according to the 1940 U.S. Census). She seems to have spent time in in USA from 1911 to 1913, but I have no details from that time. I found that Eva had immigrated to the USA via St. John, New Brunswick in May 1918 to stay with her cousin Gussie MacKay Brown in Lynn. (The 1930 U.S. census says she had immigrated in 1911, but the 1918 paperwork indicated that stay was temporary.). She was naturalized as a U.S. citizen by 1930. Eva married Thomas Francis Atwell I on June 30, 1920 in Salem, MA. At the time, she was staying with her cousins Charles N. Lipsett & Ethel M. (Hiltz) Lipsett at 5 Pickman Road in Salem. For several years after the wedding, the newlyweds lived there, perhaps because of Thomas’s time at sea. Soon the Atwells became a family. On March 3, 1924 Eva gave birth to daughter Eugenie Beryl (named after husband’s paternal aunt and her sister) (my paternal grandmother). And on April 24, 1926 she gave birth to son Thomas Francis Atwell II. Sadly, a third child, Barbara Eva was born a “blue baby” and died just a few days later in February 1932. 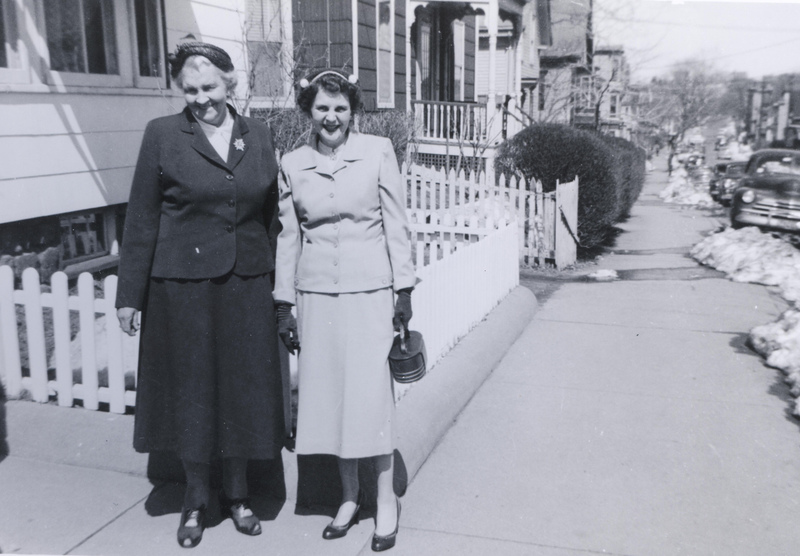 Eva Atwell + Eugenie Pleau beside 143 Timson Street in Lynn. Author’s collection. 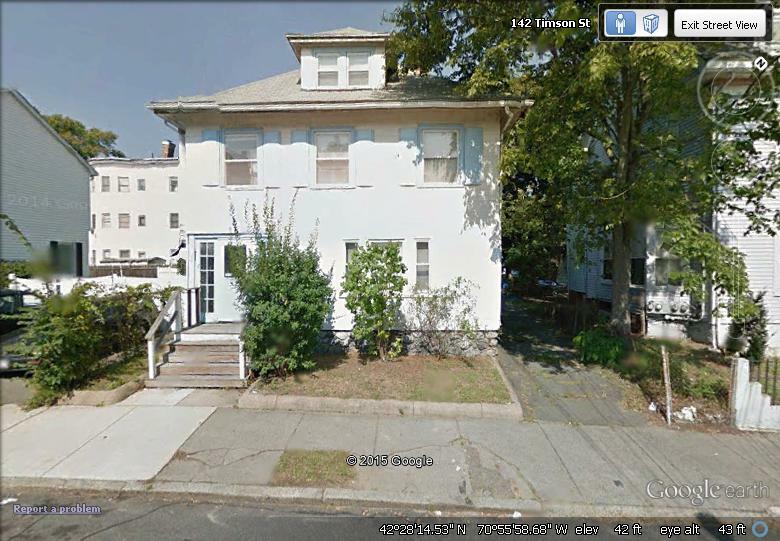 By 1933, the Atwells bought their own house at 143 Timson Street in Lynn, where they lived for the rest of Eva’s life. This was where my father spent the first years of his life. 143 Timson Street today. Courtesy Google Earth. Eva died in August 1963 and was buried with Barbara in Pine Grove Cemetery. There is so much more to her life, however, that I will cover in my next post.